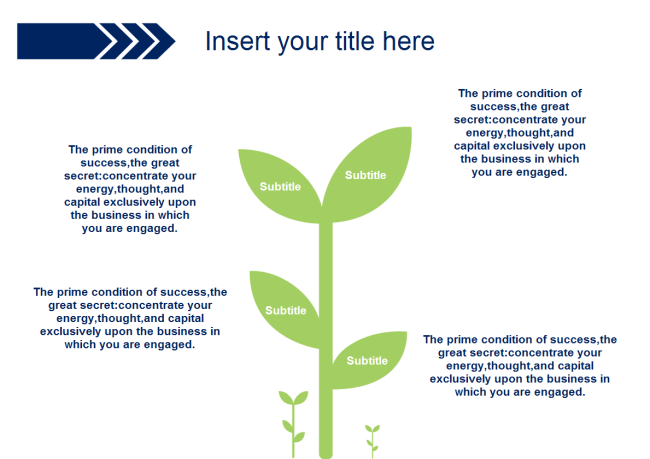 Description: This sprout PowerPoint template is developed for general use. You can write the subtitles on the leaves and the content nearby. It can be used to present topics with agricultural theme. It all depends on how you use it. This editable ppt presentation template is provided for free. Click the buttons below to get the download link.